Gorgeous Platinum Gemstone bubbles design necklace. 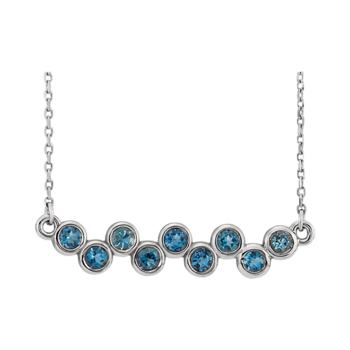 Shown set with Blue Zircon this design is available with a large variety of vibrant gemstones. 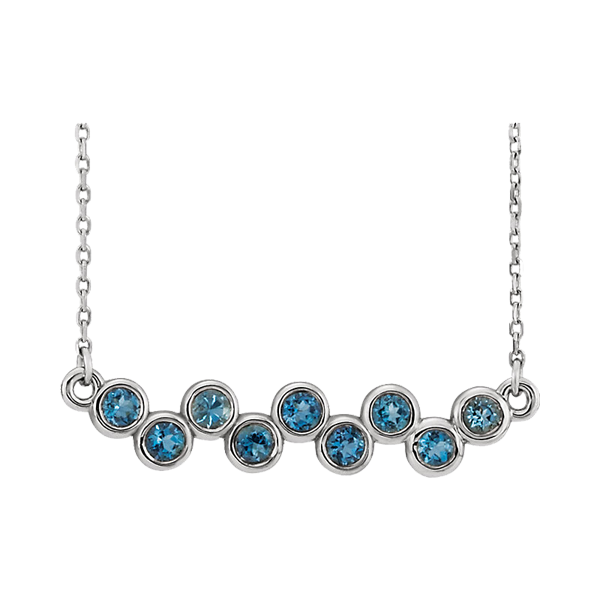 Gemstones are bezel set and measure 2.5mm round each in this dazzling necklace. Necklace measures 16-18" in length. Necklace can be worn at the 16" length or an extended 18" length. Very pretty Platinum gemstone necklace.